Alicia Vikander is effortlessly beautiful and she looked that and more at The Fifth Estate Premiere during the 2013 Toronto Film Festival. The Swedish actress slipped on a strapless floral jacquard gown from Erdem’s Pre-Fall 2013 collection. 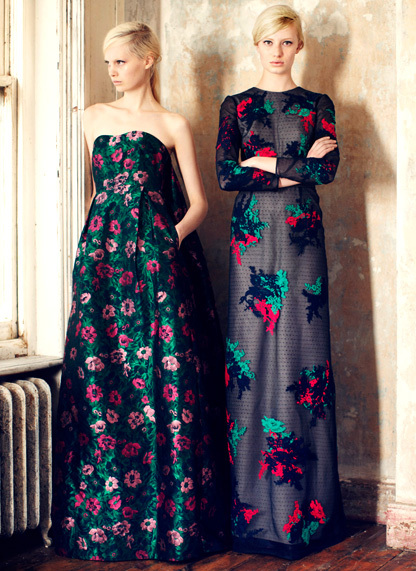 Visit www.erdem.com for more information and see Alicia’s gown from the brand’s Pre-Fall 2013 offerings below. *Images courtesy of Getty and Erdem.